This is a Stampede model 900. Prices good until 4/30/19 on Current inventory only. Sales Prices are plus NY State Sales Tax, Registration Fees and Freight. Financing at 5.9% APR for 48 Months available to qualified buyers through Sheffield financial. Credit card purchases are subject to a 2% surcharge. 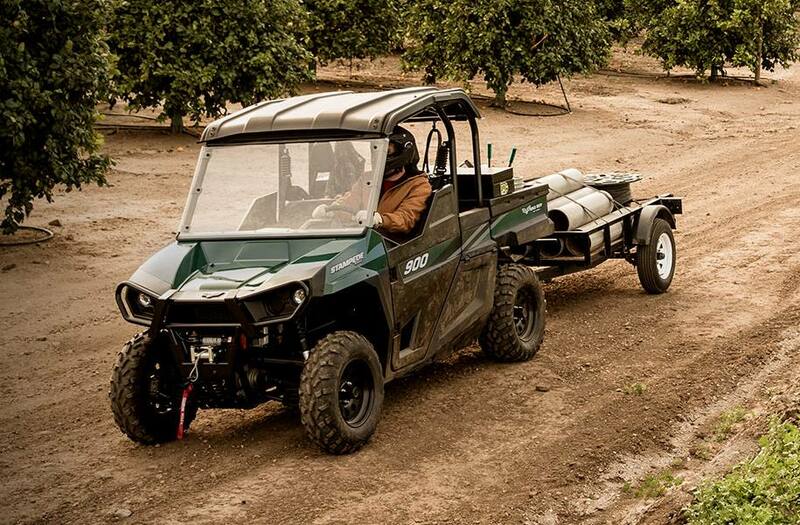 Its 80HP EFI engine is designed and precision-tuned and built for high-performance. Explore the game-changing Stampede 4x4 and find out what happens in a side-by-side that's designed to dominate. 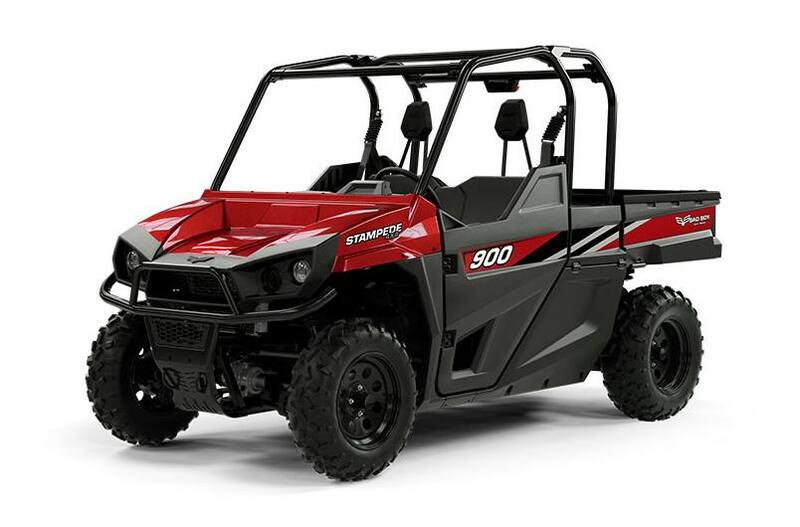 Power: Explore Stampede's 80HP EFI engine, which packs plenty of torque for any challenge. Suspension & Handling: Four-wheel independent suspension and front/rear sway bars give you the best ride possible. Driver Experience: Stampede is built for all-day, everyday use - easy access, better field of vision, and the industry's best LCD screen. Hauling & Storage: The only side-by-side with a customizable extended cab, plus 2,000-lb of towing and a 600-lb capacity tilt bed. 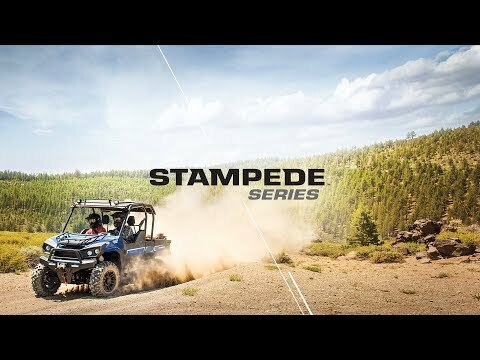 Reliability: World-class engineering, rigorous testing, and a two-year warranty give you plenty to count on with Stampede. WARNING: The Bad Boy Stampede 900 4x4 is designed for off-road use, therefore avoid public roads and paved surfaces. Driver must be at least 16 years old with a valid driver’s license to operate. Passengers, if permitted, must be at least 12 years old. All Stampede drivers should read the Owner's Guide and take a safety training course. Contact ROHVA at www.rohva.org or (866) 267-2751 for additional information on safety training. For your safety, wear a helmet, eye protection, and other protective gear. Always fasten your seat belts and use the doors or cab nets (as equipped). While operating the Stampede, drivers and passengers should keep all parts of their body inside the vehicle at all times. Be particularly cautious on difficult terrain. Never engage in stunt driving. Avoid excessive speeds and sharp turns. Never operate or ride in the Stampede under the influence of drugs or alcohol. Check local laws before riding on trails.